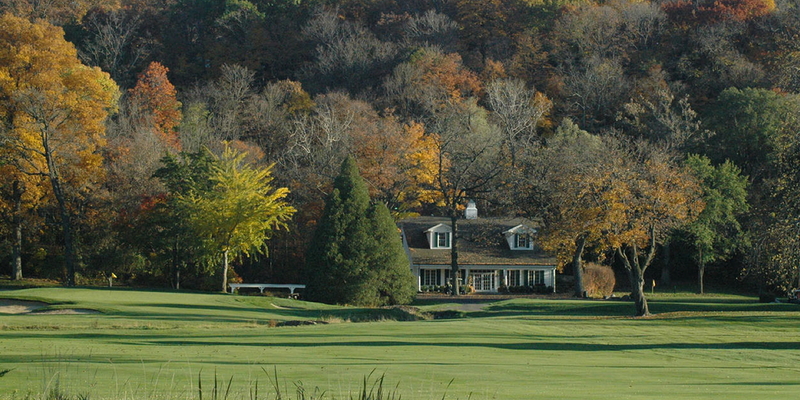 Located in Fontana, Wisconsin, Big Foot is a private 190 member-owned golf and tennis club featuring a Tom Bendelow designed championship golf course (slope 140; 6,753 yards; rated 73.4) routed over 270 acres of wooded land, rolling hills, and spring-fed streams. During a round of golf at Big Foot, you're able to visit the Grand Canyon (Hole 5), drink from the Fountain of Youth (Hole 2) or play Basketball (Hole 17). You can also ride a Double-Decker (Hole 4), relax on an Inner Spring (Hole 2), or tweak the Devil's Elbow (Hole 14). 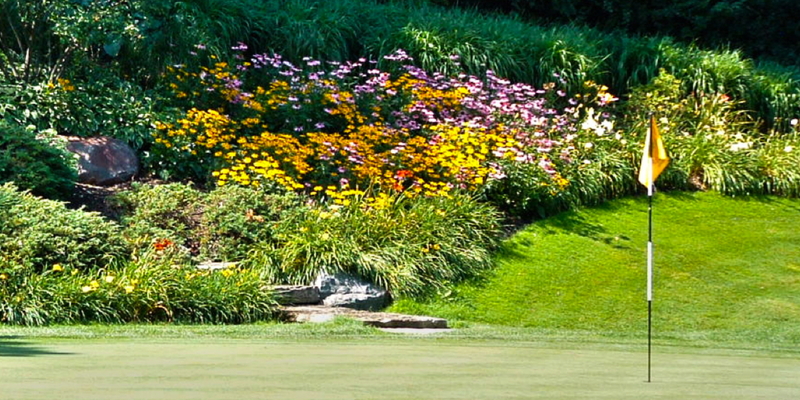 Tom Bendelow designed the golf course in 1924. It's comforting to know that the Big Foot of 1924 is alive and well. From the awe-inspiring view from the 12th tee to the majestic Indian Mound on hole 11, from the tranquil ponds of hole 8 and hole 17 to the formidable wall of grass concealing the 12th fairway, Big Foot is a joy to play. Each of Big Foot's unique holes have been named for its location, terrain, or outstanding feature. Please call 262-275-3411 for current rates. Call 262-275-3411 for rates and tee times. Must be golfing with a member in the group. Become a part of the Big Foot family Big Foot Country Club offers three different classes of membership: Regular, Junior and Social. All Members must be at least twenty-one years of age. All Members must pay, as a condition of membership, the applicable Initiation Fee, and all monthly dues and charges as determined from time to time by the Executive Council and set forth in the current Dues and Charges Schedule. All regular members will have full use of all club facilities, including; golf, tennis, trap range, and dining. Only Regular Members shall be entitled to vote and hold office. A Regular Member's immediate family shall have the same membership privileges as the Member, except voting and the right to hold office. A Member's immediate family shall include the Member's spouse and their unmarried children, under the age of twenty-six, who are living at home and not employed, or attending school on a full time basis. A Junior Member is a person between the ages of 21 and 40. A Junior Member shall have full use of the club facilities, including; golf, tennis, trap range and dining. A Junior Member shall not have voting rights or the right to hold office. A Junior's immediate family shall have the same membership privileges as the Junior Member. A Member's immediate family shall include the Member's spouse and their unmarried children, under the age of twenty-six, who are living at home and not employed, or attending school on a full time basis. A Social Member will have full use of the club facilities, including; tennis, trap range, and dining. A Social Member has no rights to the golf course. A Social Member shall not have voting rights or the right to hold office. A Social Member's immediate family will have the same rights as the Social Member. A Member's immediate family shall include the Member's spouse and their unmarried children, under the age of twenty-six, who are living at home and not employed, or attending school on a full time basis. Contact Big Foot Country Club at 262-275-3411 for more information and details on holding a golf outing at the course. Contact Big Foot Country Club at 262-275-3411. Contact Big Foot Country Club at 262-275-3411 for onsite or nearby dining options. This profile was last updated on 07/09/2014 and has been viewed 12,632 times.